I am six weeks pregnant. I am getting pains in the lower right side of my abdomen, and I sometimes feel like I am going to start my period. I do have a history of endometriosis. Is this normal, or could it be a sign of an ectopic pregnancy? Having pain during the first few weeks of pregnancy is common, but you are quite correct to worry about an ectopic pregnancy. 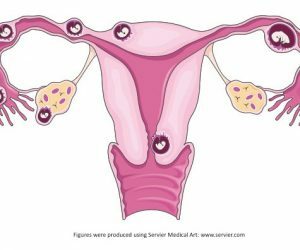 Ectopic means that the pregnancy is outside of the uterus, most commonly in the fallopian tube. 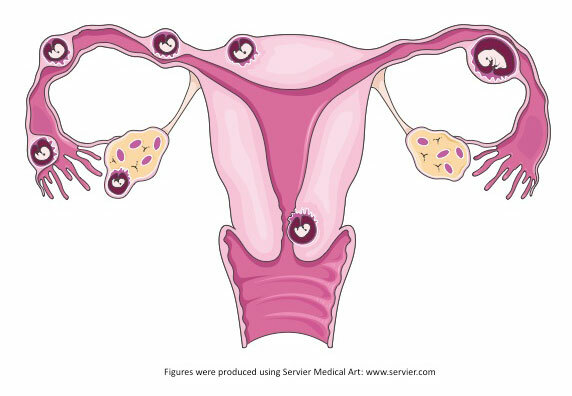 Tubal pregnancies occur in 1 to 2 percent of all pregnancies. Women who are at higher risk of ectopic pregnancies are women who have a history of tubal disease, especially a prior ectopic pregnancy. Women who have had previous tubal surgery or who have had their tubes put back together after having had them tied, are also at increased risk. And women with a previous history of pelvic inflammatory disease or chlamydia infections should consider themselves at higher risk. However, most of the time when you experience early pregnancy pain, the most likely cause is a pregnancy-related cyst on the ovary, called a corpus luteum cyst. Remember, the egg that was fertilized arose from a cyst on the ovary; that’s how we ovulate. And that cyst stays with us to produce progesterone to maintain the pregnancy until the placenta takes over. Let your caregiver know if you are experiencing pain, and she can investigate it for you. But don’t panic: In most cases, an evaluation will reassure you.